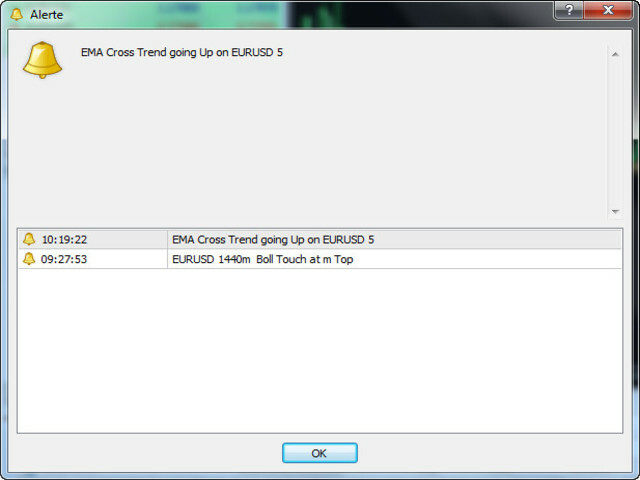 The Moving Average Cross displays a fast and a slow moving average (MA). A signal arrow is shown when the two MAs cross. An up arrow is displayed if the fast MA crosses above the slow MA and a down arrow is given if the fast MA crosses below the slow MA. 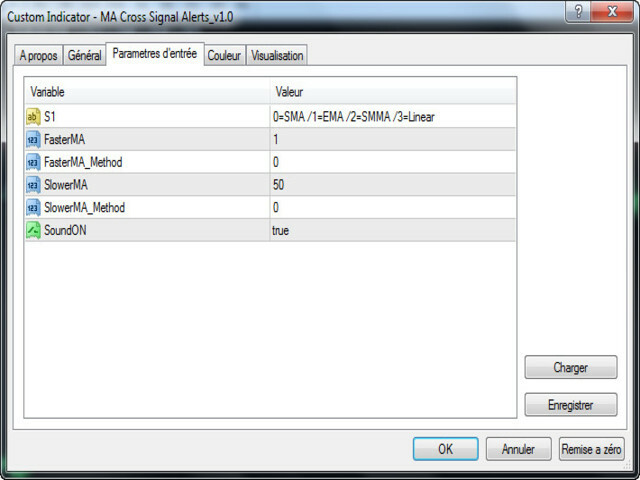 The user may change the inputs (close), methods (EMA) and period lengths. When two Moving Averages cross the indicator will alert once per cross between crosses and mark the cross point with down or up arrow.